In the Midwest, warm weather is a much cherished commodity. And a big part of summer-time food fun is the veritable treasure trove of veggies readily available. 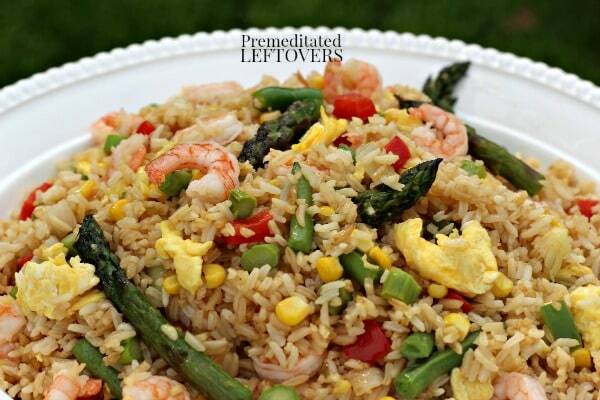 For this Summer Vegetables Shrimp Fried Rice I use some non-typical vegetables you're not going to find in your local Chinese restaurant variety. This one has sweet corn right off the cob, crunchy green beans and one of my favorite veggies ever, asparagus! 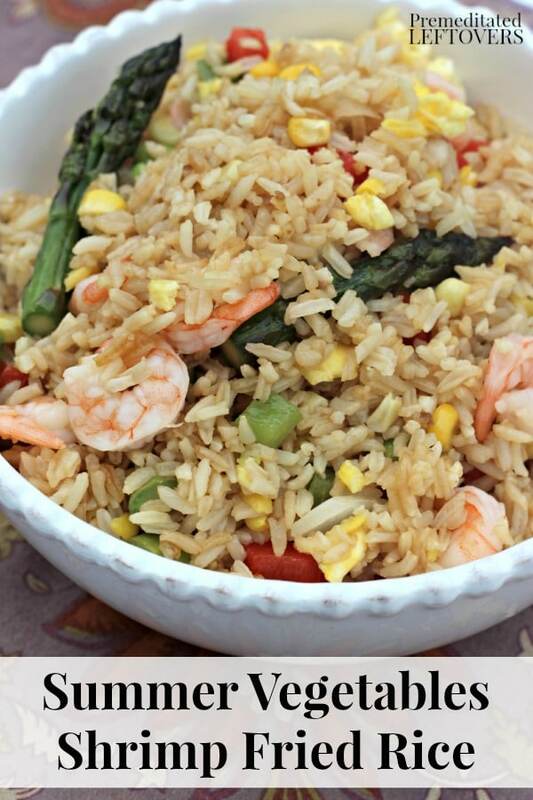 You'll also find something else not common in fried rice. Jasmine rice. I prefer this fragrant rice over all others. In a large wok over medium heat, sauté all vegetables separately, then set aside. If using frozen shrimp let completely thaw, rinse and drain. Pat shrimp dry to prevent oil spatters when adding then to the hot oil. You are just warming the shrimp sense they are already cooked. Set aside. Clean wok and add 1 tablespoon of oil to it. When oil starts to smoke, add 1 cup of cooked rice at a time, stirring vigorously, and then add 3-4 shakes of soy sauce per cup of rice. Push rice to the side of the wok and add another tablespoon of oil and another cup of rice. Repeat this process until all of the rice is fried. Push the rice to the side and then add your eggs in. With a spatula, scramble them partially, then mix them into the fried rice until fully cooked and well-distributed. Stir in veggies, eggs and shrimp towards the end. What's up? I am D. Durand Worthey and I wear a few hats. I got the husband hat, the dad hat and the perpetual odd man out hat. But just like you some hats come and go and others I feel I was born wearing. Yet, at the end of the day it isn't the hat which defines the man, it is the head upon which the hat rests. I am married to a blogger and I too dabble in to the arcane art of “the blogosphere” too. So, if you like indie music check me out at The Earology Dept. You'll discover my foodie side at A Worthey Read and elsewhere (I am a freelance conjurer of recipes in my spare time). Yummy! Looks so good – my hubby especially would love it! Thanks so much for taking the time to link up over at the #HomeMattersParty – we hope to see you again next week!